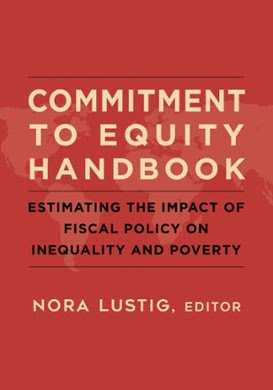 This new book edited by Nora Lustig is a how-to guide for assessing the impact of fiscal policy on inequality and poverty. It can be used as a reference or textbook for courses on public finance and income distribution. The book includes user-written software for conducting Commitment to Equity Assessments and case studies from several countries. It can be downloaded for free from the website of the CEQ Institute. The Commitment to Equity (CEQ) Institute at Tulane University works to reduce inequality and poverty through comprehensive and rigorous tax and benefit incidence analysis, and active engagement with the policy community. It is a key academic partner of WID.world.